Not all marriages are considered legal in New Jersey. There are a handful of situations which may lead one or both spouses to be eligible for an annulment, which essentially erases a marriage from your legal history. Annulments are not available to everyone, and only may be sought by couples or individuals who were in an illegal, fraudulent, or misrepresented marriage. 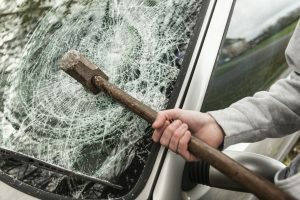 Before seeking an annulment, it is a great idea to understand how annulments and divorce differ in New Jersey, the legal grounds for annulment, and identifying religious vs. legal annulments. 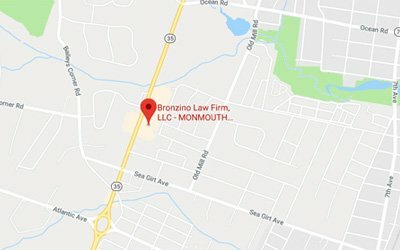 At The Bronzino Law Firm, our annulment attorney has extensive experience helping our Ocean County clients from towns like Spring Lake, Brick, Neptune, Toms River, Manasquan, Point Pleasant, and across Eastern New Jersey to reach successful annulments. Our smaller firm size allows our legal team to focus on the unique needs of each of our family law clients. We offer highly effective and personalized legal solutions at fair and reasonable rates. Call our office today to speak with our divorce attorney in a free and confidential consultation regarding your potential annulment and any relations questions and concerns. Annulment is a commonly used, but seldom fully understood legal term. 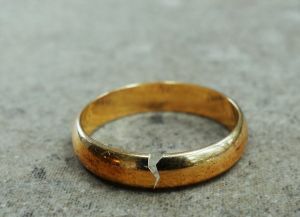 Annulments also require definitive proof of unlawful, fraudulent, or other specific behaviors, which divorces do not. This begs the question: why bother getting an annulment? Our Ocean County divorce and annulment attorney will work with clients so that they understand how annulments and divorce differ, and which might be the better option. Divorces entail the formal dissolution of a legally valid marriage. The record of your marriage will be public for the remainder of your life. Divorcing spouses are also entitled to considerations such as alimony, child custody, child support, and the equitable division of assets. Annulments are legal actions which effectively null your marriage. In other words, it is as if the marriage never took place. This is dramatically different from a divorce as annulments do not entitle spouses to alimony or the equitable division or marital assets. It is important to understand that matters concerning children such as child custody and child support are generally unaffected by divorce vs. annulment as they are determined in the best interests of the child regardless of marital status. As mentioned previously, annulments are a commonly misunderstood legal concept. This is partially due to the existence of religious annulments. Our Sea Girt annulment attorney understands that seeking religious annulments is extremely important to many of our clients, but that the two issues are entirely separate. In other words, there is no relationship between a legal annulment and a religious annulment. However, in some cases religious institutions may take your legal annulment into consideration. For example, if you entered into a marriage under false pretenses, a legal annulment may be sufficient proof that you truly were an innocent victim of circumstance. This may make a positive influence on your attempt to seek a religious annulment, although there is certainly no guarantee. Religious annulments will have no impact on legal annulment proceedings. 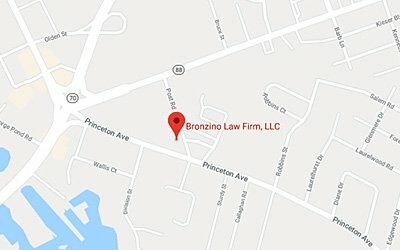 Experienced divorce and annulment attorney Peter J. Bronzino takes pride in serving clients from local Monmouth and Ocean County communities including Brick, Brielle, Sea Girt, Point Pleasant, Toms River, Neptune, and across Eastern New Jersey. Our firm believes that annulments are a great tool for individuals who want to move on from a painful chapter in their personal lives with a clean slate. Attorney Bronzino will tenaciously defend your legal rights through litigation and other means available. As always, protecting the legal rights of our clients remains our number one priority. For a free and confidential consultation regarding your potential for a legal annulment in New Jersey, please contact us online or through out Brick, NJ offices by calling (732) 812-3102 today.